For fast and reliable service, choose C & P Locksmith. C & P Locksmith has been in business 15 years and has been serving customers in the Columbus, GA and surrounding areas proudly during that time. Our business is family owned and operated, and we specialize in commercial, residential, and automotive locksmith services. Our prices are honest and competitive, and our friendly, straightforward approach to business is very popular in the area. We receive many service calls for automotive lockouts in Columbus, GA and surrounding areas. Our locksmith experts are committed to responding immediately to these urgent calls, and we work rapidly to get our customers back into their vehicles as quickly as possible. We also provide service for residential lockouts. Occasionally people will lock their only set of keys in their home, or they may lose their keys outside of the home. In either case, our specialists have the skills to get you back in your home. At C & P Locksmith, we also provide commercial lockouts service for businesses. When our commercial customers are locked outside of their business, they are in danger of losing money. Our professionals work diligently to remedy these situations quickly. In addition to lockout services, we provide a variety of other options for our residential and business customers. We can make new keys, change out locks, and install high-security locks as well. We provide effective lock rekey services and much more for our customers. C & P Locksmith caters to the specific needs of each residential or business customer. We have the experience, the appropriate skills, and the accumulated knowledge to provide impeccable service. 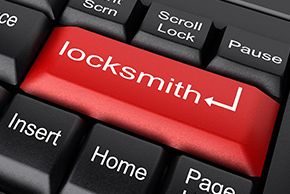 Call today to learn more about our competitive prices and wide array of locksmith service options.